There is nothing better to focus the mind more than an imminent presentation to a room full of tourism experts tomorrow in the Netherlands. I have my presentation prepared and I am looking forward to sharing our network and project work with the participants of the meeting tomorrow in Van Hall Larenstein – University of Applied Sciences. 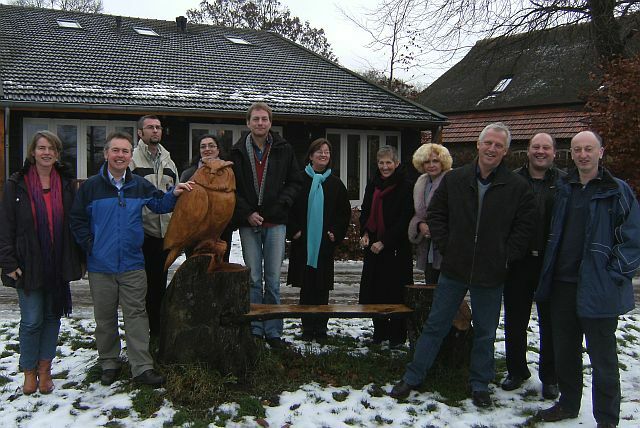 This opportunity has arisen as our project partner﻿﻿; Europees Centrum voor Eco en Agro Toerisme Nederland (ECEAT) has been proactive is seeking to develop a common approach to rural tourism training within the Netherlands. 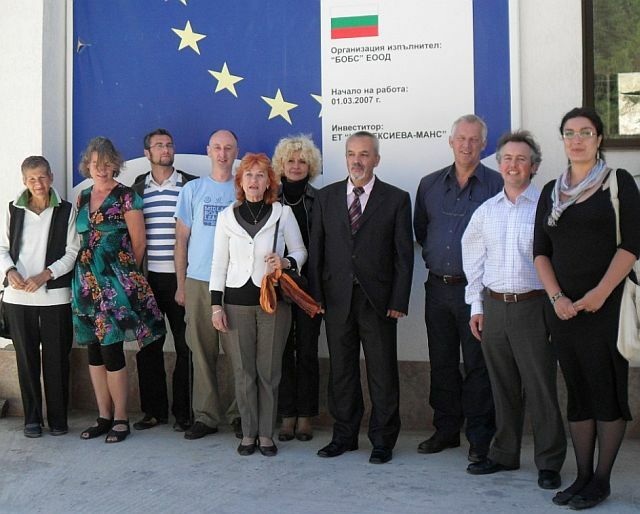 Our last Leonardo partnership project meeting was held in early December 2010 and I am glad to report that our project has acheived another milestone. Our Romanian partners confirmed that our ‘train the trainers’ programme has been their national accreditation body. This is the third country in the EU which has accreditated our training programme which has been jointly developed by all the partners in accordance with the European Qualifications Framework. The Romanian partners from the Centre for Tourism Training, Babes-Bolyai University of Cluj have taken the process a whole step further. 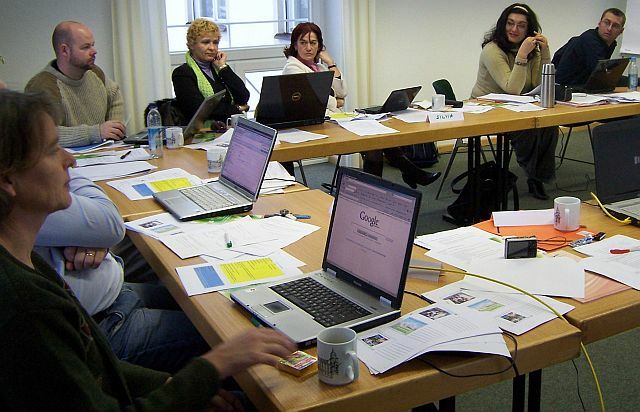 They have used the common sylabus we have agreed upon within the project and developed the module for implementation in the Romanian language this year. This is beyond the expectations of what we aimed to acheive and is testament to the commitment of all partners who have worked on this project. We have been fortunate to work with partners who understand the ethos of rural tourism and the importance of highlighting examples of best practice in this sector. 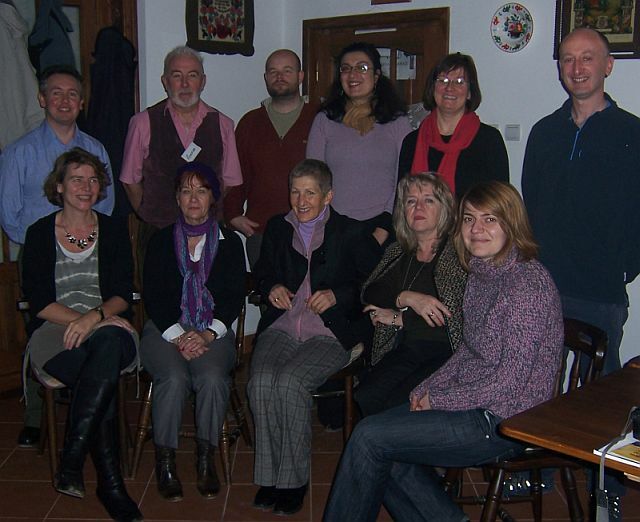 At each of our project meetings we experienced excellent standards of service, food and hospitality within the rural tourism facilities that we stayed. This was particularly evident at our last meeting “Landgoed de Barendonk” farm where we well looked after by our host Elisabeth Hermanussen and her family. 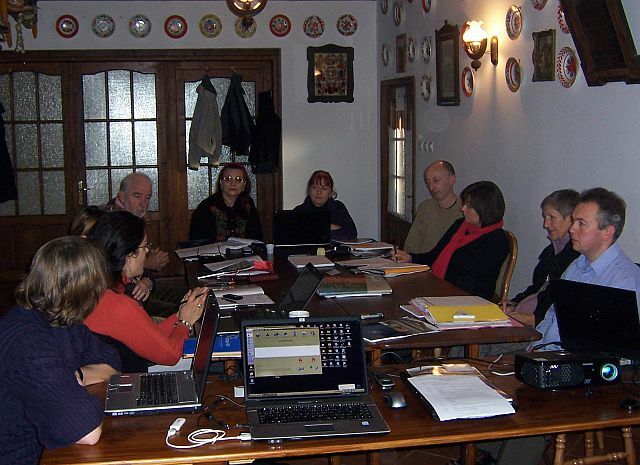 The last RTITN General Assembly meeting was held in September 2007 in Hungary. This planned meeting will help to re-establish the focus of the network and hopefully find ways for increased cooperation between all members. We have received interest from a number of members in relation to our General Assembly meeting which will be held in the Athlone Institute of Technology, Athlone, Ireland on the 26th and 27th May. The invitation is open to all current members to attend this meeting. I have outlined some of the activities that have been planned as part of our General Assembly below. This meeting is being organised to coincide with our Leonardo Partnership project meeting and further details about the costs for members will be sent by email early next week. 13.00 Arrive Athlone Institute of Technology (www.ait.ie) where lunch will be served. 14.30 – 17.30 General Assembly meeting: details will be sent to members via email. Note: All members are requested to submit any proposals in respect of new project ideas for inclusion in our workplan / training plan in advance of our GA meeting. We are inviting all RTITN member country Ambassadors who are based in Ireland to attend this launch and we hope to entice a senior Irish Government Minister to launch this training course. It has taken some time to finalise details for our General Assembly and this could not have been down without the support of Athlone Institute of Technology. This is an excellent opportunity for our network to grow and re-focus our plans for the future. On the 1st of October our Leonardo Partnership project got underway with the first of a two day meeting, held in a local rural tourism visitor attraction; Bear Essentials in County Cavan. One of our main objectives initially was to become familiar with the partners, organisations and with the project which will we deliver over the next two years. Within our partnership project we have a diverse group of partners which represent training institutions, agricultural colleges, ecotourism, rural development and the guesthouse accommodation sector. The common objectives of the partnership is the development of a sustainable rural tourism sector across the EU and in particular the countries which we represent including; Bulgaria, Germany, Netherlands, Romania and Ireland. We all have a commitment to achieve this through the accreditation of our Rural Tourism International – Train the Trainers programme. Following our initial introductions, Anke Morgonroth the proprietor of Bear Essentials and a rural tourism trainer delivered a short workshop which helped us to focus on the competencies of a rural tourism trainer and a rural tourism entrepreneur. This was a worthwhile activity which was engaging, creative and provided some insight in to andragogy. This was followed by a presentation by Kevin McLoughlin from Athlone Institute of Technology on the National Qualifications Framework in Ireland, the European Credit Transfer System, Recognition of Prior Learning and the assessment system. This created a high level of discussion among the partners as we started to prepare the ground work for our project. The second day of our meeting was held in a rural guesthouse based in County Monaghan where we continued with our meeting agenda. I was happy at the end of our meeting as each of the partners had clarified their roles within the project and we all agreed that we must support each other through regular communication to ensure the success of our project. This is the first step in achieving our project aims, objectives and building a strong project team. Watch this space for further updates and opportunities for ‘silent partners’ to become involved in our project and we are looking forward to our next meeting planned for early December. We would like to here comments from RTITN members or any other individual involved in the rural tourism sector. We are busy making final arrangements for our Leonardo Partnership project which will kick off next week on the 1st October and we are looking forward to welcoming our partners to both counties Cavan and Monaghan. We are excited about the prospects of getting work underway to acheive our aim of gaining accrediatation for our rural tourism train the trainers programme. 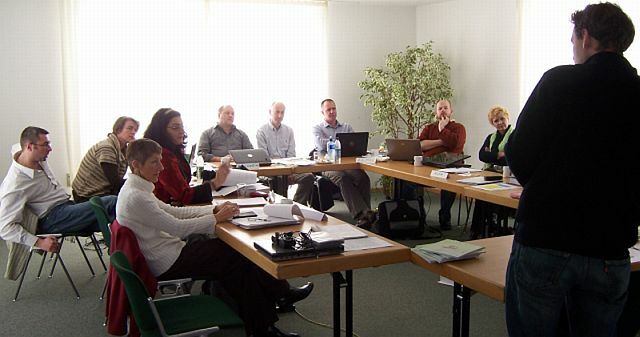 In addition, we are also making final plans for the Leonardo da Vinci contact seminar which will commence in Malahide, Dublin on the evening of the 27th September 2009. We are impressed with the wide range of organisation coming from througout Europe and indeed within Ireland. I am looking forward to meeting with all potential partners and i hope you enjoy your visit to Ireland.